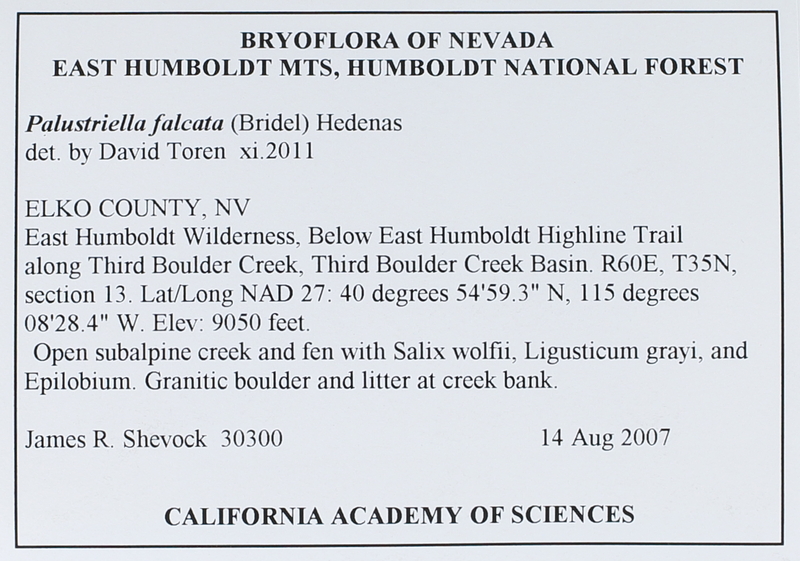 Locality: USA, Nevada, Elko, NV East Humboldt Wilderness, Below East Humboldt Highline Trail along Third Boulder Creek, Third Boulder Creek Basin. Habitat: Open subalpine creek and fen, with Salix wolfii, Ligusticum grayi, and Epilobium. Substrate: Granitic boulder and litter at creek bank.